Wayne kitchens and baths recently got a new, extended display place with a large number of remodeling products. Aqua Kitchen and Bath Design Center, known in Wayne and surrounding towns of New Jersey as one of the most affordable and best-equipped kitchen cabinets, granite, and quartz store, is now even larger than it was! 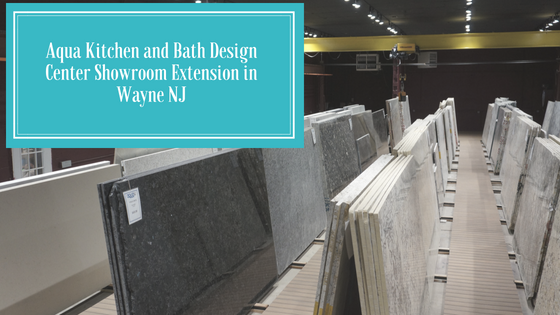 To provide you with the best possible service and the largest selection of granite, marble, and quartz stone, we have extended our kitchen and bath showroom in Wayne NJ. We added an additional display space, a building next to the existing showroom with 5000 square feet more. The indoor of our extended showroom is spacious and comfortable, with great, bright lighting. Our designer and sales team is always available there to greet you, give you any information you need, and make your shopping experience perfect. Aqua Kitchen and Bath Design Center offers you now 80 colors of granite, marble, quartz, and quartzite. Also, we have another 80 colors at our 5000 square foot outdoor slab yard! We extended our showroom to be able to show you all of these products in the right setting. Homeowners in New Jersey need top quality kitchens and bathrooms. We want to be their number one choice when they start planning their remodel projects. This is why we created a first-class kitchen and bath showroom. It is the only way to be able to show off to our customers the whole range of all the beautiful products we have in stock. We understand how important your kitchen and bath remodel projects are. This is why we strive and succeed to continually offer you great value. 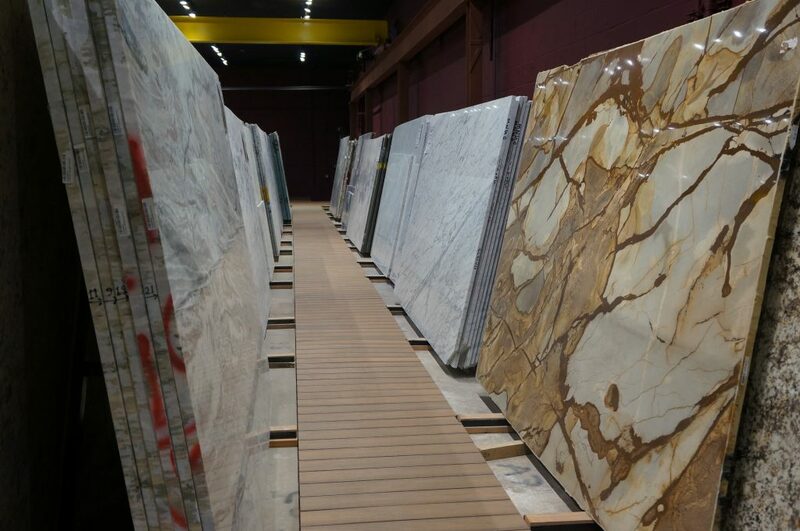 By increasing the showroom space we also increase the number of stone slabs and the selection we want to offer to our customers. The most important goal of Aqua Kitchen and Bath Designer Center is to continually increase the value we provide you with. Just as we are committed to providing you with only the best quality products, we intend to offer you an incomparable shopping experience. Now we are even more capable of supplying homeowners, architects, builders, and interior designers, with many products and to offer them a complete solution for their clients’ kitchen or bathroom update. 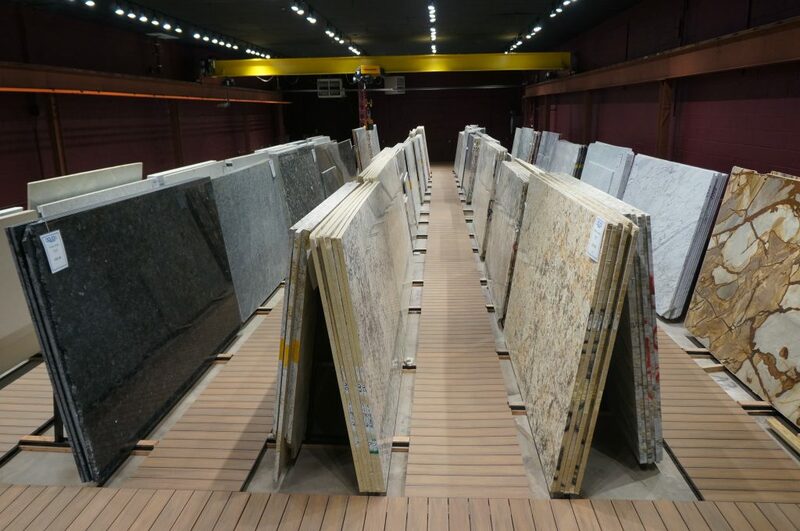 Having a great assortment of granite, quartz, quartzite, and marble slabs, and being able to choose in a comfortable, spacious, bright, and convenient space matters when you are making one of the most important purchases for your remodel. We know this and we invite you to visit us today. 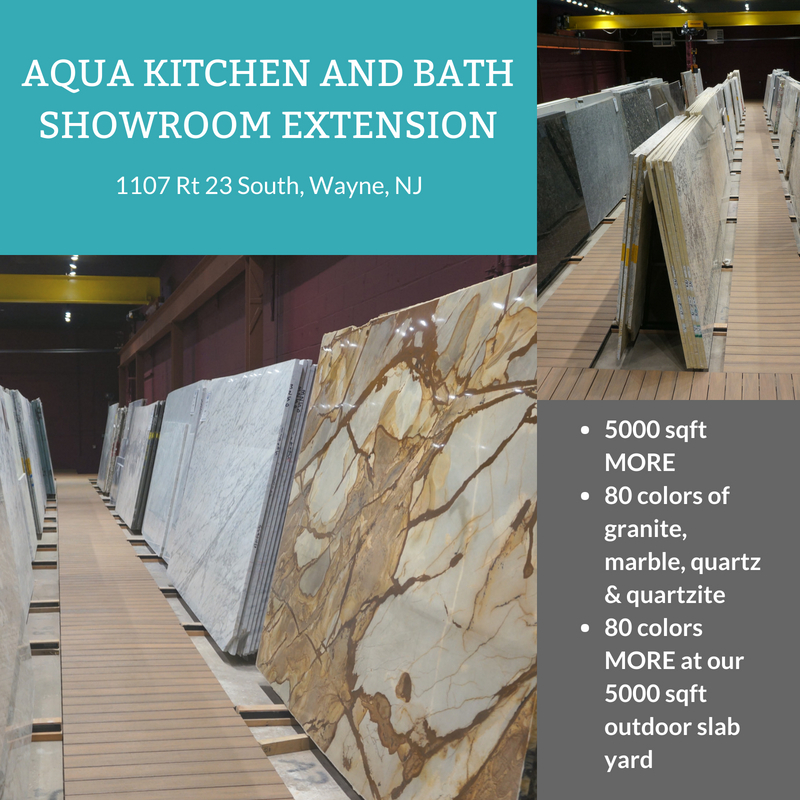 Well-lit showroom interior, professional and friendly staff, more space to comfortably walk and pick between many beautiful slabs, and top-notch products for your kitchen or bath remodel await you at 1107 Rt 23 South, Wayne, NJ 07470. Call us at 973-302-2075 or contact us online. See our Specials, and check out just some of many granite countertops and quartz countertops we have to offer in our new extended showroom. We also offer best prices on kitchen cabinets. Visit us today and see for yourself why we are choice number 1 for many people in NJ.